As I prepared to throw my daughter a baby shower, I found that there was not a lot out there in her chosen theme of penguins. I think with Happy Feet out there will be more in the future. 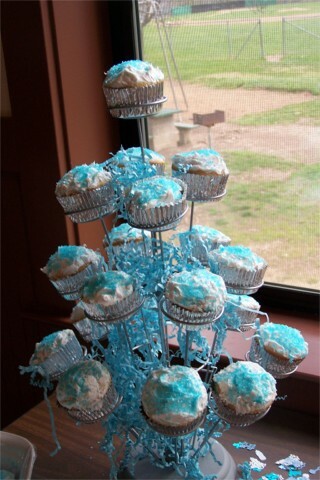 I have attached photos of everything I made; the invitations, the party favors, cupcakes and the diaper cake I made. Hope this helps someone else! 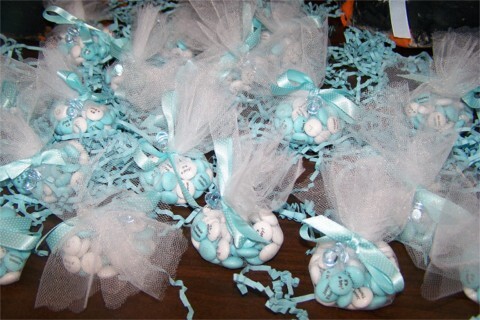 Note from the editor: Rhonda, this baby shower absolutely precious! I love how you incorporated a winter/ice theme with the penguins to pull the whole thing off. It really turned out great. 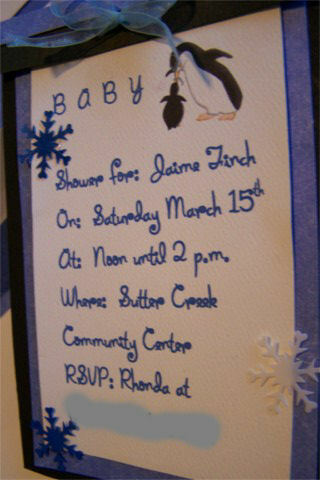 You are right, there is not much out there to go with penguins for a baby shower. I am so glad you shared your ideas with us. I am sure it will help others. Thank you!! This penguin theme is simply adorable! Thanks for sharing it. I was having a hard time picturing a wintry type of theme for my friend's baby shower. My friend is having a girl, so I am going to incorporate pinks in the colors. I was thinking pink and blacks. I am ordering cupcakes with cute penguin fondant toppers. I am also trying out the favor cones with candied popcorn (tinted pink) and layering trifle in push pops. I think both will go over really well since there are so many little kiddos in the neighborhood and it is going to be a neighborhood get-together party. Wish me luck! This was very helpful to me! My sister-in-law's nursery theme is penguins and I was rather at a loss as to what to do for the shower (since it is in May). 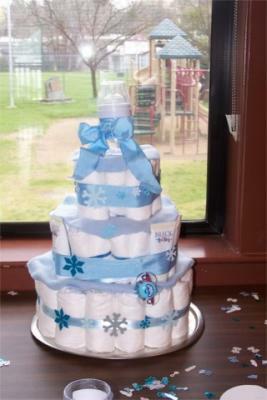 I have made several diaper cakes in the past and I like the idea of using "ice themes" to bring this and the favors together. Thanks a bunch!